Market Equations India offers Open end coding or Verbatim Coding Outsourcing Services to companies globally following an integrated and planned approach. Our researchers are familiar with open end coding convention used in the industry and are best suited to transform raw data into intelligence. Verbatim responses provide a lot of meaningful information and insights that may not be available through closed responses and are most often neglected. From our experience we understand this is done only because converting verbatim responses to codes is a tedious process. Our teams of coders study the research objectives, document the plan, build the code frame and then move forward with the final coding. The code frame is shared with the client before proceeding with the final coding. Open end coding or Verbatim Coding Outsourcing to India follows a planned and systematic process that transfers raw data to intelligent data and requires the application of an integrated process. Data Collected may be available and stored in various database formats: Excel, Access, ASCII, .dat etc. Information stored is meaningless in its raw form unless it facilitates retrieval and provides insights. In order to do so, the data needs to be coded based on specific conventions or codes in order to derive meaningful interpretations. The first step is to review the responses and create a code frame. The code frame (with the nets or buckets) needs to be reviewed to confirm the code frame which forms the basis of the open end coding process or exercise. For ex; specific codes are assigned to specific questions to transform comments or choices into numbers which facilitates tabulation. Every result is assigned a numeric value that enables the results to be summed, tabulated and charted enabling plotting results visually and ease of deriving insights. 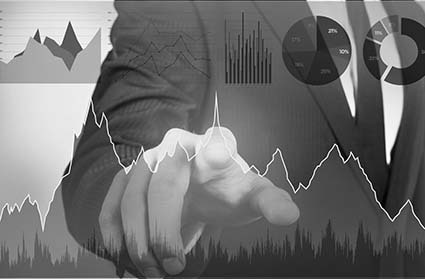 With Market Equations your data is handled by experienced Market researchers with decades of experience. Manage your time and focus on the insights. We frequently require responses from the audience in statements which are otherwise called open ends or verbatim responses. Although, there are applications today that have modules that detects and codes verbatim comments it is most frequently done manually. We receive the data file from you with the open end or verbatim responses. Once we have your confirmation we go ahead and code the responses. QC & QA will be run on all files by our Quality Team and will be submitted to you in the specified database format. Verbatim coding is a tedious but necessary process that facilitates ease of interpretation by assigning numeric values to each comment. Since, it involves manual processing; companies globally are increasingly exploring Outsourcing options for their open end or verbatim coding needs to India. Although, this may sounds very simple it requires a trained resource with the ability to translate and assign the descriptive response to its assigned numeric value. This step requires careful attention to detail and a planned approach to ensure each comment fits into the required bucket or net of responses which is commonly used when there is a huge amount of data. A wrong judgment can lead to wrong interpretation and skew the findings drastically. Contact us for your Market Research Open end and Verbatim Coding Outsourcing needs. Manage your time and derive substantial cost savings.